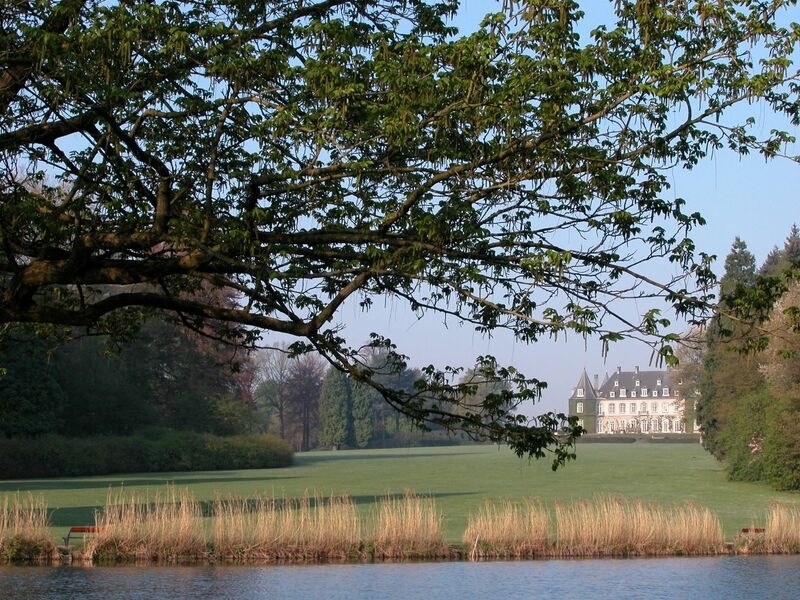 Château de La Hulpe has instant appeal behind its innocent Marlinspike Hall exterior. Sitting comfortably in its grounds, thinking of this nice image, we can feel its gentle strength and our imagination comes alive. Even Captain Haddock wouldn\\\'t disown these \\\"four masts\\\" floating on the fine lawns. Flanked these days by a perfectly symmetrical garden, this impressive vessel radiates its bourgeois bonhomie into the farthest corners of its little kingdom. A kingdom in harmony designed like a star to draw our gaze even deeper into the intimate undergrowth. Over here, the ponds capture the trees in their mirrors and form cloud necklaces. Over there, on the spongy green carpets, secrets are told, children play, we picnic like in days gone by, carefree ... A deer bounds at the edge of the wood ... a carp drunk on the nascent spring leaps into the air. This place is full of surprises that fill us with wonder. Let's follow our intuition on a walk with our senses awake. Let's meander through this sanctuary of a hundred paths and let's contemplate the legend of the sun perched atop the obelisk that never sets in the west. Humility and wisdom are the lessons of nature.